It is a little known fact that I have not always flitted about the streets of Covent Garden, quill in hand, but actually came into this world a little way north of Henrietta Street. 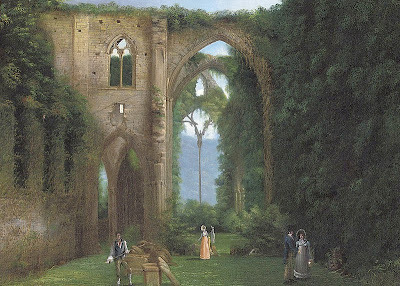 Indeed, as a young Gilflurt I spent many a happy year in the vicinity of Newstead Abbey and whenever the court circular permits, I still visit that wonderful old building in my coach and four. The stones of Newstead ring with stories of the ages and today we shall meet the leading man in one of them, William, 5th Baron Byron. In all my years, I never encountered the Devil Byron at his country seat though grandmother Gilflurt claimed to have spent many a ribald hour reenacting his favourite naval battles, dark horse that she is! William Byron took the title of Baron Byron at the age of 14 and two years later he was a Lieutenant in the Royal Navy, set for a glittering and privileged future. Apparently a true pillar of the establishment, he undertook charitable deeds, made an excellent marriage to Elizabeth Shaw and generally behaved in a way that might make his late parents, William Byron, and Frances Berkeley, proud. As my old grandmother is happy to testify, Byron had a failing when it came to alcohol and it may be that we can blame the drink for the unfortunate circumstances that came to blight a seemingly charmed life. On 26th January 1765 Byron joined his cousin, William Chaworth, and a band of fellow Nottinghamshire estate owners at to the Stars and Garter Tavern in Pall Mall for a few drinks to combat the bitter winter cold. As the wine flowed, a little harmless boasting over who had the more valuable game on their estate got out of hand and before the night was out the two cousins had agreed to a duel to settle the argument; it was to prove a deadly decision. The evening was drawing on when Byron and Chaworth took their leave and retired to a private room, where the Lord plunged his sword into his opponent's belly. Chaworth lingered on until the following day and when Byron landed in court, his noble birth meant that he was convicted only of manslaughter. The value of Chaworth's life was no more than a paltry fine and the now notorious nobleman returned to his home at Newstead Abbey in triumph. As gossip spread of the Wicked Lord, Byron revelled in his new-found infamy and mounted the deadly blade in his bedroom, an ornamental trophy. 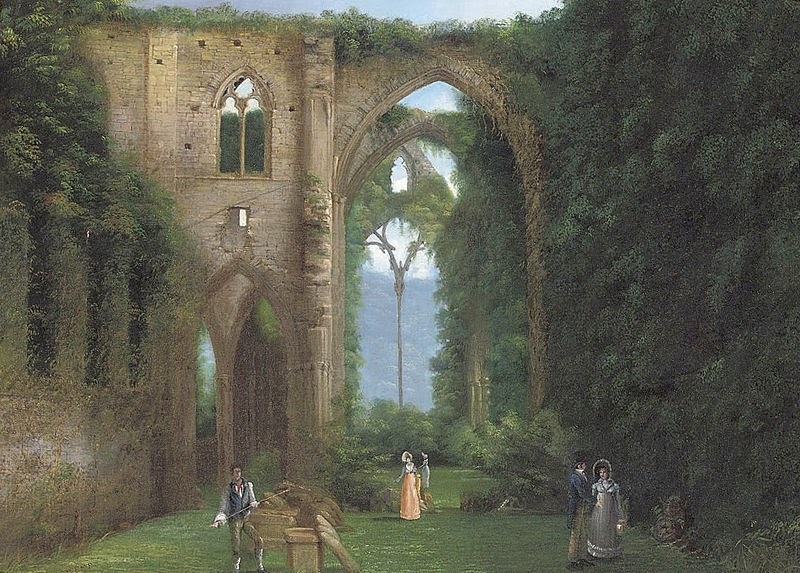 Stories of Byron's madness became the stuff of legend and tales were told of his violent temper and outlandish behaviour, of terrible attacks on servants and a wife who suffered at her husband's cruel hands. Eventually Lady Byron could stand no more and fled, leaving her husband to his reclusive life at Newstead. With his mistress, a servant known as Lady Betty, Byron presided over a circus-like court with working forts built in the grounds of the Abbey so that he might stage mock naval battles for his own entertainment, complete with working cannons. His debts began to spiral out of control but the Lord paid no heed, enjoying the somewhat unconventional life he had created for himself. The son he had come to despise was destined never to inherit the debt that was due to become his burden as he died in 1776, his own son killed in battle in 1794. Lord Byron's vicious plan had come to nothing and the debt and unhappiness was inherited by his great nephew, George Gordon Byron, with whom Byron had no quarrel, either real or imagined. The 5th Lord Byron died in 1798 and was laid to rest in Hucknall Torkard in Nottinghamshire, his death little mourned by those who knew him. You know, I hadn't thought of that but you're right! This has escaped the docucostumedrama folks in the telly business. I am surprised , on the other hand I see the making of graphic novel , if it has not been done yet . The forts and guns and naval battles...am I thinking of Ludvig also...was there a movie ? If there was, I would certainly watch it!